Discussion in 'Harron Homes' started by Makebetterhomes, Mar 17, 2019. Buying a new home turned into a nightmare for one couple who want to warn others of the potential perils of buying off-plan. Sharon Dale reports. Buying a new property off-plan, before it’s built, is increasingly common but there are pitfalls that could leave you out of pocket and homeless. John Grogan, MP for Keighley, who helped the couple, and welcomes the government's plan to create a new homes ombudsman. Ivan Smith and his wife want to warn would-be buyers of the risks after a battle with Harron Homes that saw the developer ordered to pay compensation after contravening the Consumer Code for Home Builders. The couple’s problems began when they sold their house to relocate to Yorkshire. After spotting a new development by Harron Homes in Silsden, near Keighley, they signed an early bird reservation agreement on a property on October 6, 2017. They were assured that the house would be built and ready to move into by September 2018 at the latest with a longstop date of October 27, 2018. If a developer fails to finish the property by the longstop, the buyer is entitled to withdraw their offer to buy the property without incurring a penalty. In the meantime, Mr and Mrs Smith put their belongings in storage and rented a static caravan on a nearby site. Construction of their new home did not begin until July 2018 and they were told that the house would not be completed until December 2018. “We asked for our money back and used ‘Frustration of Contract’ as an argument to have the contract rescinded early,” says Mr Smith. “Harron disputed this stating they were obligated to complete by December 19, 2018, rather than October, so we were stuck. The couple enlisted the help of Keighley MP John Grogan and eventually got their deposit and solicitor fees back at the end of October last year. Richard Scatchard and his family and Michael and Lynda Tidgwell, who bought homes on a Harron Homes estate in Queensbury, experienced similar issues. Their homes were not completed when promised and, as reported previously in The Yorkshire Post, they were also unhappy with the quality of the construction and fit-out of their properties. Richard Scatchard and his wife reserved their home off-plan in May 2015 with a moving date of October 18 the same year. On December 17, Harron Homes asked them to complete on the unfinished house. “We said ‘no’ and they offered us £5,000 to complete by December 31, promising that the house would be finished by January 15. We took the deal but when we came to move in, workmen were still in the property,” says Richard. Mr and Mrs Smith made a complaint to the Consumer Code for Home Builders, developed and overseen by the home building industry. An adjudicator agreed that Harron had been in breach of sections 1.5, 2.1, 2.2, 3.1 and 3.2 of the Consumer Code for Homebuilders. This included giving completion dates that were probably not achievable and failure to give timely responses to the buyer’s questions and concerns. Mr and Mrs Smith were awarded £500 compensation for “inconvenience”, the return of the £120 registration fee and an apology but there were no other sanctions. “It was a very hard year and I feel we were duped,” says Mr Smith, who kept a log of the calls, emails and letters he sent to the developer. A spokesperson from Leeds-based Harron Homes Ltd, which was established in 1995 by brothers Paul and Stephen Harrison, said: “Throughout the buying process, we aim to provide all of our purchasers with regular weekly updates and can confirm that this was the case with regards to this family. “As with all new-build, developer delays are common place and can be affected by numerous factors beyond the company’s control. “Adverse weather conditions, material shortages and the industry’s reliance on third party contractors all contribute towards the accuracy of build dates, which are always given in accordance with the consumer code. “In this case, due to the delays experienced and as a gesture of good will, Harron Homes agreed to allow the contract of sale to be rescinded earlier than was legally necessary, refunding all monies paid. The couple describe the sum awarded via the complaint to the Consumer Code for Home Builders as “no deterrent to bad practice”, though they are pleased that tougher sanctions are due to be introduced by the government. 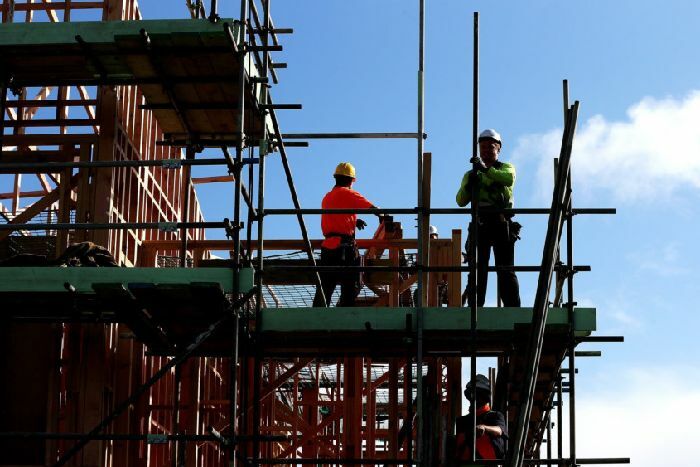 It has announced plans to appoint a New Homes Ombudsman who will “champion homebuyers, protect their interests and hold developers to account”. 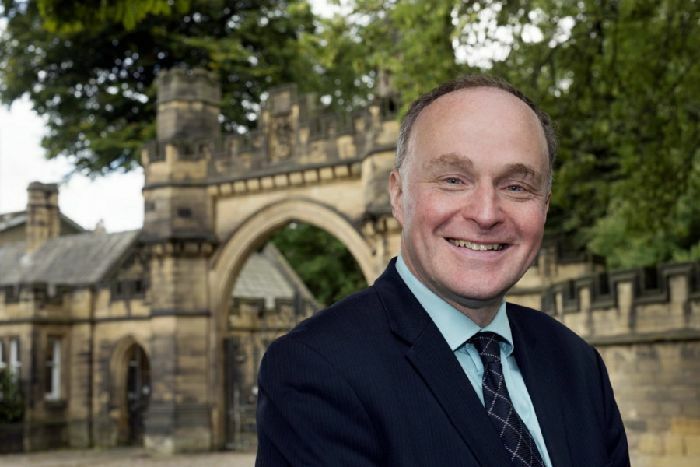 John Grogan MP for Keighley, who helped Mr and Mrs Smith with their complaint against Harron Homes, says that the government’s decision to appoint a New Homes Ombudsman will help those who have issues with developers. *Retired construction site manager Philip Waller is founder of brand-newhomes.co.uk and new-home-blog.co.uk, an advice site that campaigns for better quality builds. He says: “It is quite common for completion dates to be missed, with housebuilders having the perfect explanation, blaming the weather or delays in connection of utilities. “But housebuilders over promise and under deliver. It is possible to anticipate bad weather and build in contingencies for other potential historic delays to any predicted completion date given. *Do your research; do not believe everything the site sales tell you; never use the housebuilder’s recommended solicitors; get everything in writing; get your new home professionally snagged and inspected before legally completing.